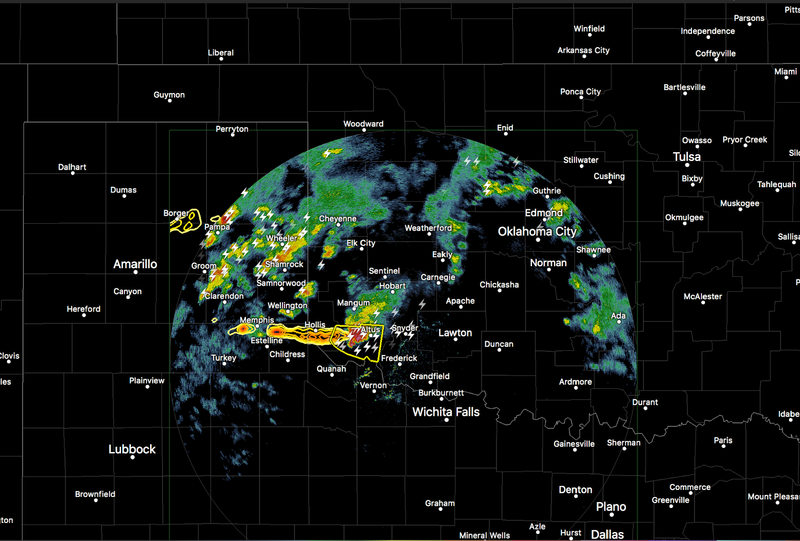 As discussed ten days ago, this is a new, and rapidly advancing, area of weather science. We had another amazing example yesterday. Below is a forecast map showing the path of a strong supercell thunderstorm, the type that produces large hail and tornadoes. The forecast was made about 2pm. Here is the actual path of the hail storm (yellow and orange lines). Hailstones up to 3 inches in diameter fell from the storm. This is a nearly perfect forecast. 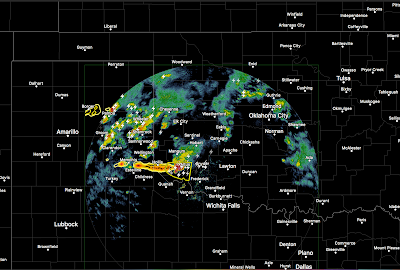 This area of meteorology didn't even exist (other than in some research labs) a decade ago. Just amazing. There is considerable business and societal value to these forecasts.